Africa has been the setting of so many of my happiest memories, from laughing with my cousins at Victoria Falls and chasing leopards in Botswana, to watching the sunrise from a hilltop mosque with my best friends in northern Morocco. I think of Africa and I smile. 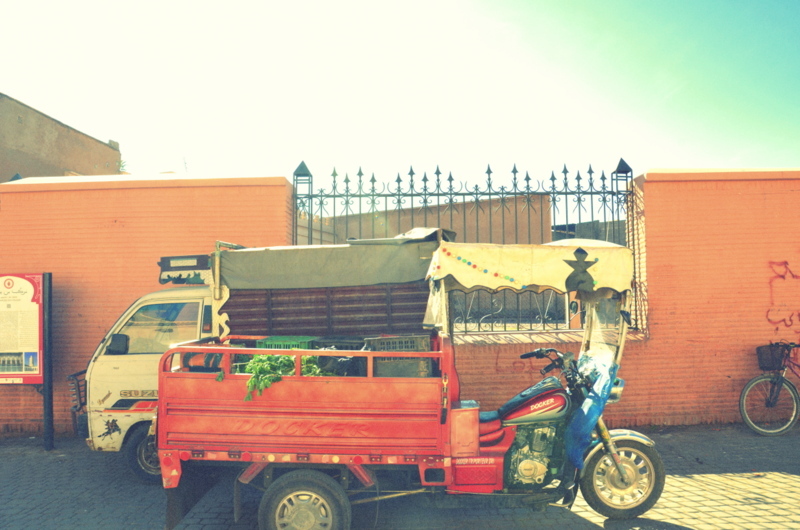 My memories of Marrakech are different. They are blurry and incomprehensible; colorful and chaotic. As soon as I left the airport, I knew the southern city was going to be different from the white and blue villages of the north that had welcomed me two years before. The city was at once more modern and ancient than anywhere I stopped in the north. Wide, paved roads were jammed with traffic and hastily constructed horse-drawn cabs. 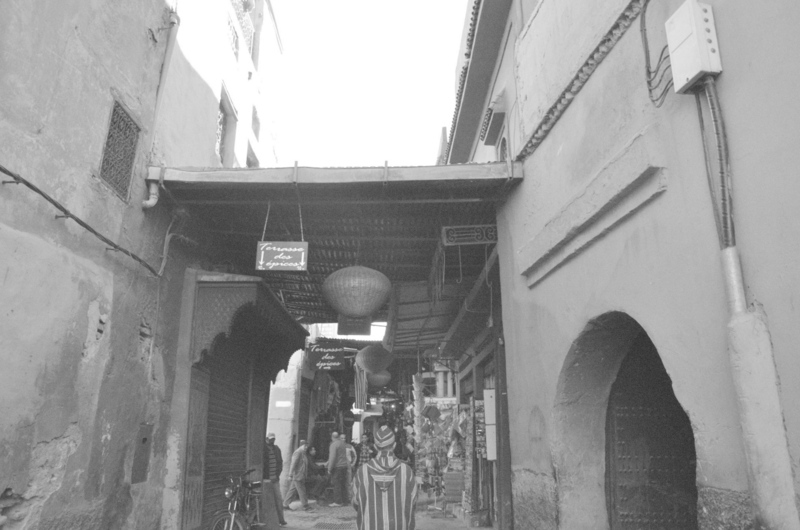 The old medina’s walls closed off the souks and tiny alleyways from centuries before and our cab zoomed past it as we headed into the new part of the city. Everything was so much more commercialized. Billboards, big storefronts and racks and racks of clothing contrasted with the hooded men carrying live chickens by the dozen and veiled women wrangling hordes of playing children. My brother elbowed me and pointed out the family of four, newborn included, balancing precariously on the moto ahead of us. The chaos of the city overwhelmed our senses before we even stepped out of the car. 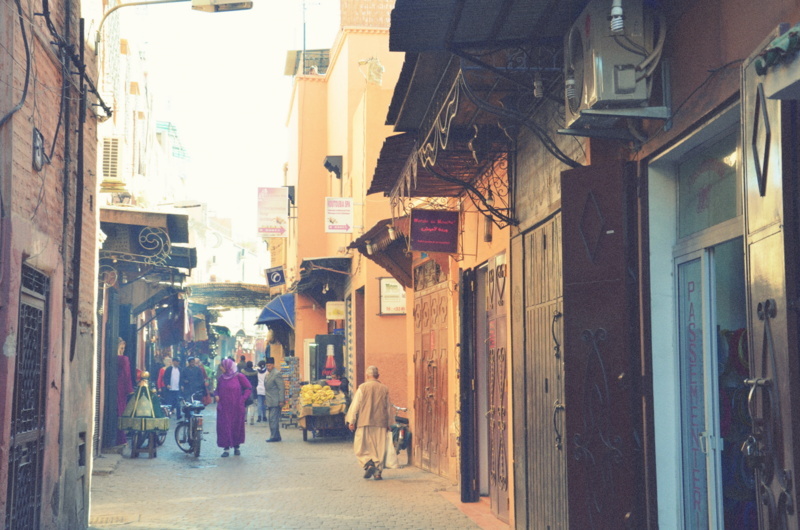 While the tranquility of the northern cities and the openness of its people helped me to look inside and reflect, Marrakech started off as an out-of body experience. I had never seen, or felt, anything like this before. When we got to the Palmeraie area where we were staying, my heart started to calm. Out in the desert, surrounded by palm trees and open sky I breathed in the fresh air and relished the silence. The sky sparkled with stars and I felt a familiar feeling wash over me. I have always said that staring at the African sky makes me believe in God, be it at sunrise in the Kalahari or sunset over the Atlantic in Asilah. For something that beautiful to exist, there must be a divine creator out there watching over us. I went to bed with renewed hope and energy for the city. 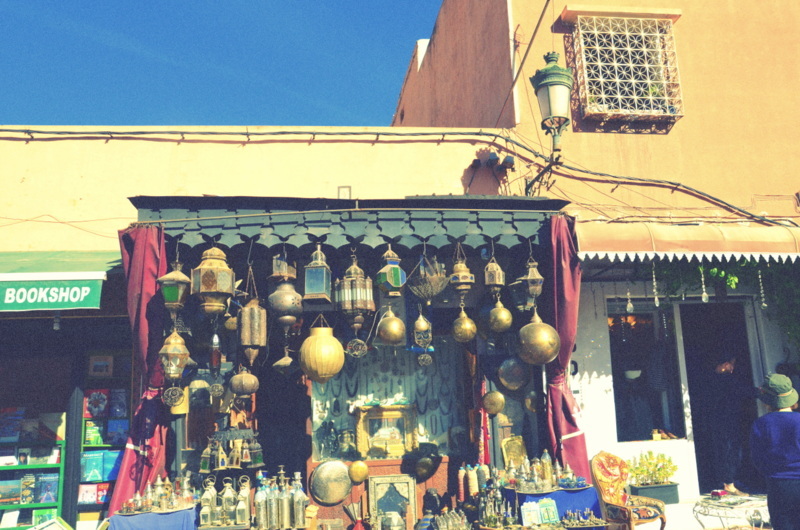 We wandered the souks under the hot late-morning sun, and I felt the anxiety from the evening before return to my body. I had been in markets like this dozens of times before, why was this so different? I didn’t understand. People were blatantly trying to rip us off, even as we bargained. They made fun of us and cat-calls awaited at every turn. I enjoy haggling, and have become very used to cat-calls from the streets of the Bronx to Madrid. I can always ignore it. 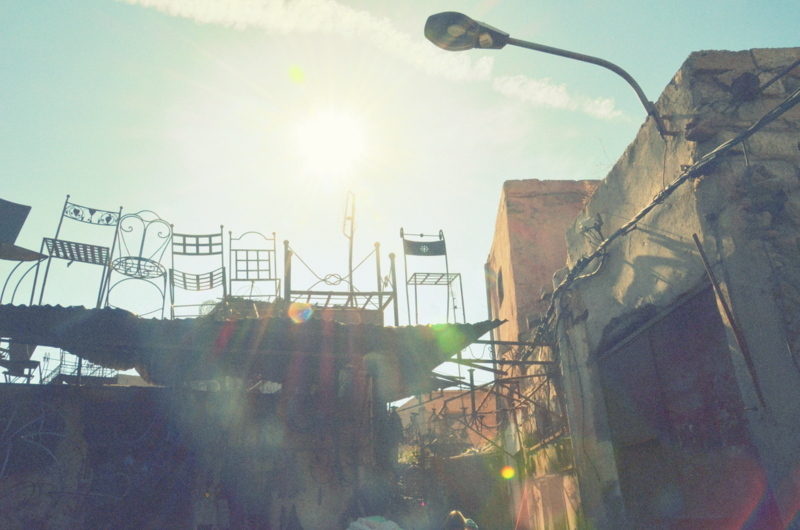 In Marrakech it bothered me deeply. 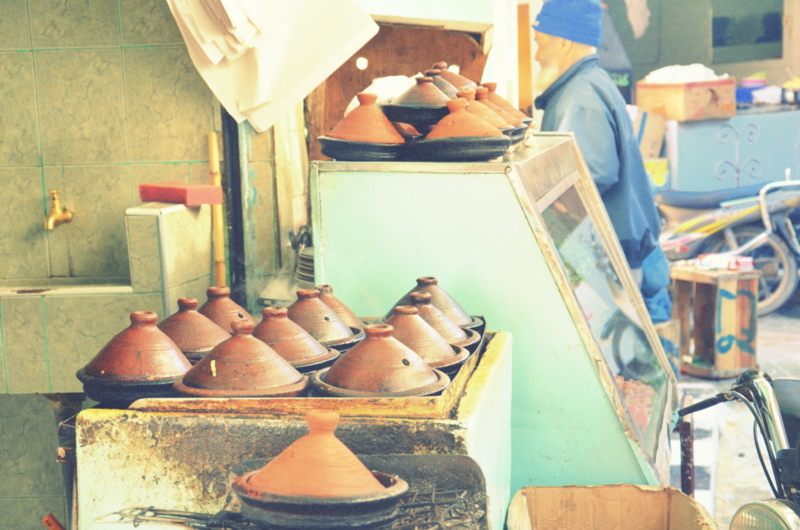 I never felt comfortable and welcome like I did in Rabat or Chefchaouen. 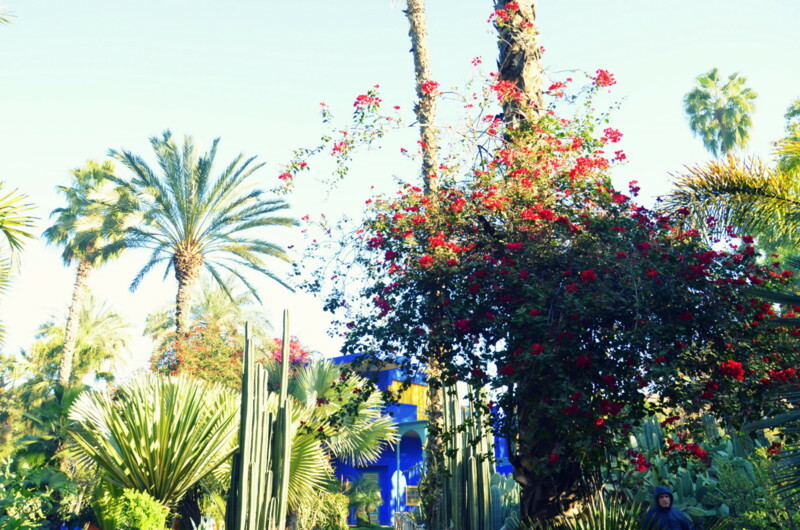 I was so grateful to return to our little oasis in the desert that afternoon. I spoke with an old friend from Granada whose family has Moroccan origins. He explained to me that in Marrakech people tend to be much colder than in the north, as they know tourism is always a sure thing. People become hardened by the groups of privileged travelers and learn to take advantage. Hostility is palpable. I was disappointed. My mom and brother were disappointed. We had all heard so many positive things about the city, and wanted to be able to see that part of it too. We vowed to try again, this time in the new part of town. We wandered and shopped and dined with the locals, but simply never connected. People continued to treat us coolly, and the city never seemed to calm. I know that so much of what we saw is cultural, while most is not a representation of the people of the country. We stayed in the desert and drove in daily, so we never had the chance to really immerse ourselves. 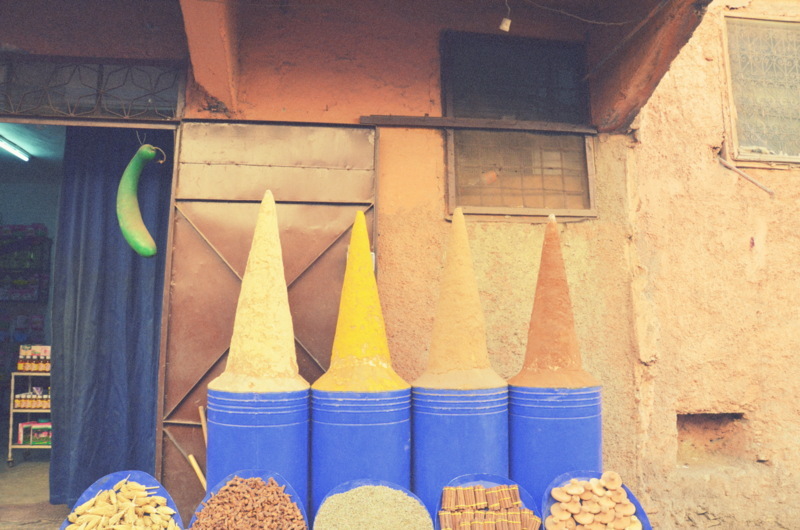 I still found the colors, the food and the rhythm of the city fascinating. I still think that Islam is an incredibly beautiful religion. 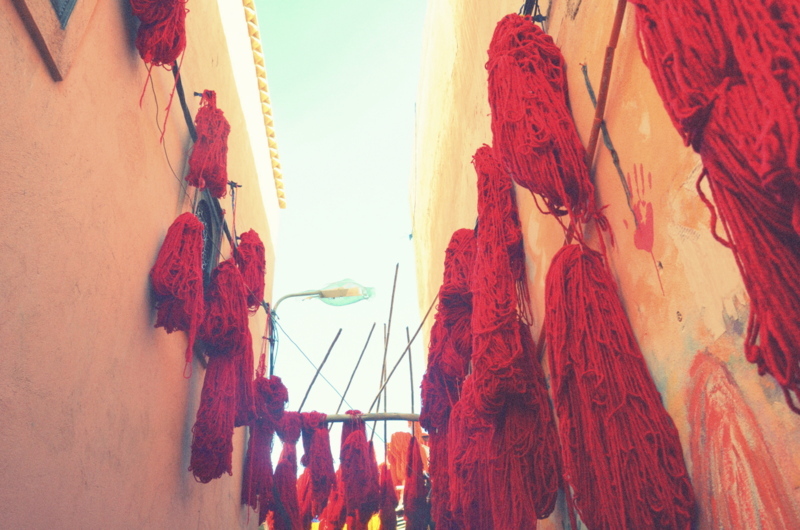 I am still in love with Morocco. And I would love to go back. If I could do it again, I would stay in the old medina. I would wander the streets on foot and be more prepared. I would try to chat with more locals, as that made all the difference in the north. I would try to learn more helpful phrases in Arabic. 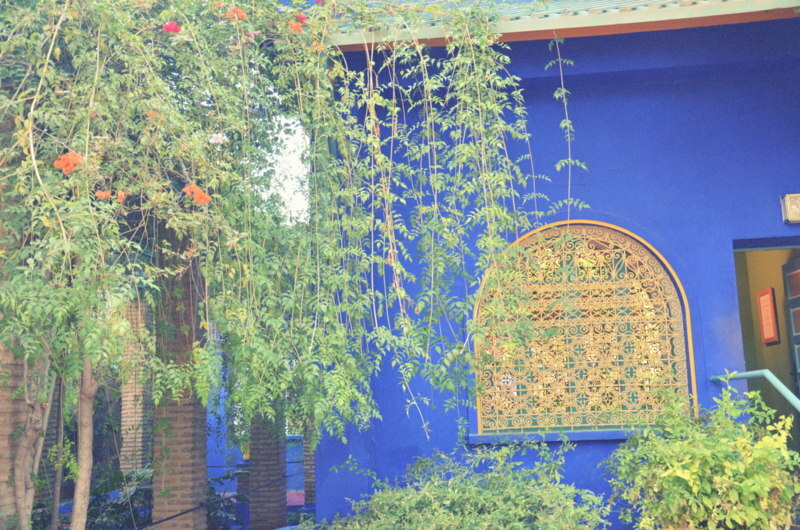 I absolutely enjoyed my time with my family in Marrakech, though it was not what I expected. It was stimulating and thought-provoking, and at times scary. 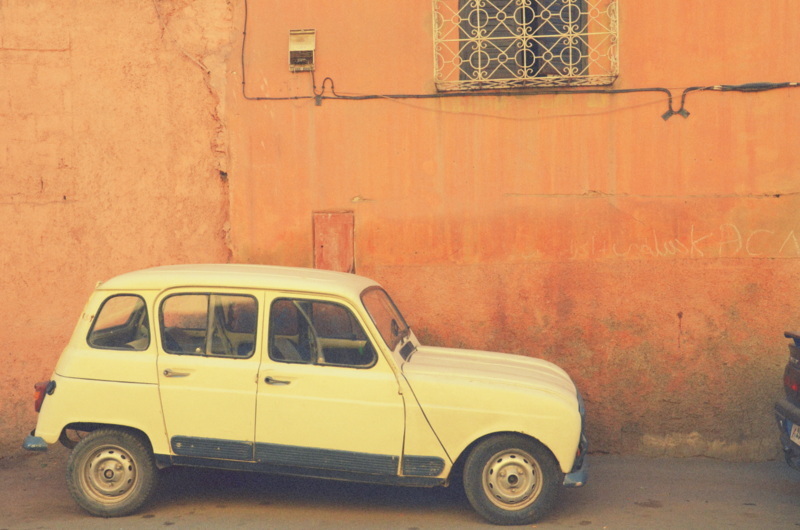 There was something mystifying about Marrakech, and I’m determined to go back and solve that mystery.